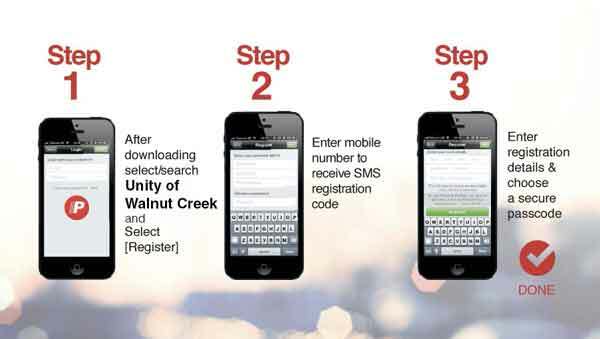 Giving to Unity of Walnut Creek has never been easier! Pushpay® is an app that is fast, free, and convenient. Make secure 10-second payments from your iOS or Android smart device. Just load your bank account, debit or credit card details once, and you're ready to go! Or text unitywc to 77977 to give right away. Note that Unity will incur transaction fees when a credit card is used. Please consider using your checking account rather than a credit card. 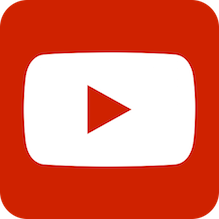 First, go to the app store on your mobile device, search for Pushpay, and download it (it's free). Then follow the steps below. For questions about Pushpay, see the Pushpay help page or contact the office by email or phone at (925) 937-2191. Thank you for your loving generosity!